The Bitcoin Sequence: Is Bitcoins Next Crash At $8,000? 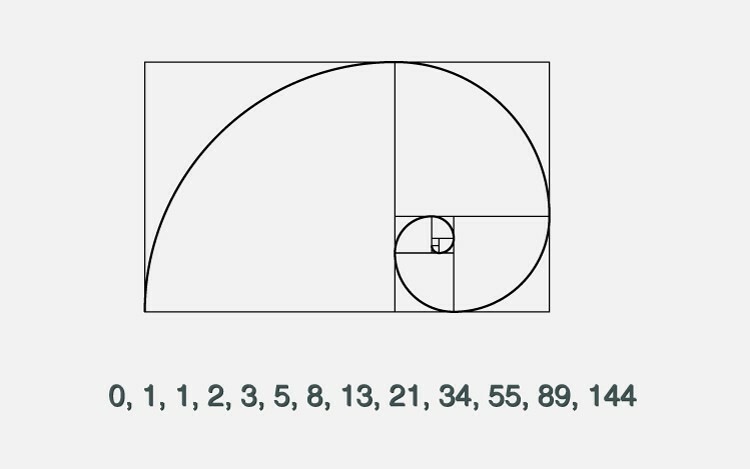 What is the Fibonacci sequence and where did it come from? The Fibonacci sequence, also referred to or credited with “The Golden Ratio”, is a sequence of numbers thought by many to be found all over the universe in things ranging from the number sunflowers, to the rings of Saturn all the way to the price movements of stocks. Upon studying it in depth, if you haven’t already, it will surely give you chills to see how often it can actually be found in life around us. Soon after, Finonacci began finding this sequence all over, amazed and fascinated he set it as his life’s work to expand upon. How does it relate to Bitcoin? Besides the Fibonacci retracement tool and Elliot’s Waves (Fib based), both being among the most popular technical prediction tools in crypto currency, the first of the 2 we found recently to be portraying another pattern which reflects the Fibonacci number sequence itself; 0, 1, 1, 2, 3, 5, (8?). Coincidence or something more? To us, it’s absolutely fascinating, Bitcoin Trading Lab was founded on margin trading Fibonacci Sequence movements around emotional levels plus identifying under valued coins so for us it’s something much more. Some argue that Fibonacci sequences are merely coincidence, such as popular skeptic Arthur Merrill. However there are also physicists and scientists that still today propose our entire life is mathematical and based on numbers and equations such as the Fib sequence. Some even going as far as to say that it’s proof that life itself is merely some sort of computer program which, although a bit extreme, is a bit hard to even begin analyzing or comprehending. All that aside, here’s what we’re left with, 0, 1, 1, 2, 3, 5, the next number is “8". Will bitcoins next major resistance level or correction come at $8,000? Some could easily say it’s feasible as we sit just beat $6000 roughly 4 weeks before SegWit2X hard fork. A lesser fork, BTG (BitcoinGold), was enough incentive for buyers to dive in pushing price toward $6200, before a brief sell off back to altcoins many had exchanged for Bitcoin to receive the forked asset. With BitcoinGold being considered by most a money grab or scam likely, yet it still created extreme demand to acquire, it’s not hard to believe that SegWit, a larger, more popular and much more supported project, will push Bitcoin up toward that next number. At the very least, if not extremely profitable which we expect it to be, this will be fascinating to watch. This will be a new topic we will update people regularly on BitcoinTradingLab.com as we watch the price climb toward our next goal of $8,000, look for pullback and than target our next Fib number lucky 13! BitcoinTradingLab.com is insider access to several of the most successful traders in crypto currency since 2013.